For many centuries, pagan religions had officially disappeared from European countries. But recently, thousands of people seem to be flocking back to the traditions of their ancestors. That’s why, among the many religious organisations registered in Poland, one of the biggest is now the Native Slavic Faith – the faith of the olden days. What seems to be the appeal? The last few decades have, undoubtedly, been filled with enormous and rapid progress. However, never-seen-before advances in technology and comfort have also allowed people to do something, at least on the surface, counter intuitive – to go back to old long-forgotten traditions. Many native faiths and beliefs are re-emerging, or being brought back, throughout the world, and the same pattern can be seen in Poland. That, in turn, has led to something quite unexpected for a country so proud of its long Christian traditions – the re-emergence of the Native Slavic Faith. Slavic Paganism was officially abandoned in Poland in 966, when Mieszko I, the first historical Prince of Poland was baptised, and with him, the whole country. However, it did not disappear overnight. In fact, for many years pagans were doggedly resisting conversion, even leading to so called Pagan Reaction, a series of pagan uprisings that highly destabilised Poland, and was one of the reasons Mieszko II had to flee the country in 1031. It also culminated in a huge peasant uprising in 1038, both against their overlords, and against the Christian faith. It seems the Slavic faithful were not easy to convert to Christianity. 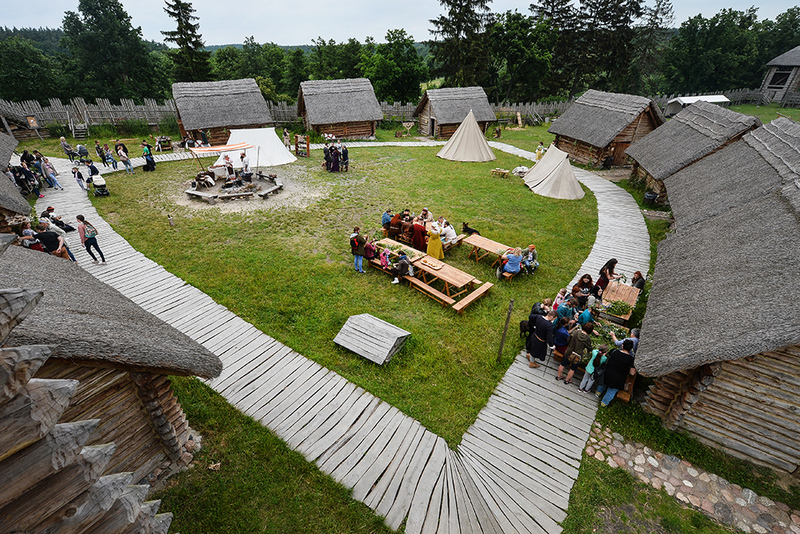 As late as the 12th century, most of the peasants on Polish lands were still native faith believers. The Slavic faith was rooted out only as late as the 15th century, but that’s still only the official, ceremonial part. Many of the traditions and beliefs are still here today in slightly adapted forms. For example, drowning an effigy of Marzanna to drive back Winter and summon Spring dates back to Slavic faith, while Zaduszki, the Polish All Saint’s Day, supplanted the older Slavic Forefathers’ Eve. It is mainly because these religious practices were so deeply rooted in tradition and rituals that today they can be recovered and re-popularised. In Poland, the first significant step towards the return of the Slavic faith was an ethnographer, Zorian Dołęga-Chodakowski, and his 1818 book About Slavic Faith before Christianity. He was the first one in centuries to publicly declare himself a pagan and condemn the whole Christianisation process. A very notable example of the return of Slavic faith can be seen in one of Poland’s most beloved Romantic classics: Forefathers’ Eve Part 2 by Adam Mickiewicz. The epic poem shows the traditional Slavic rite that was meant to guide lost souls to the afterlife. However, the first official attempts to reorganise the Slavic Native Faith were undertaken only in the 1930s, with the establishment of the Holy Circle of the Worshipper of Svetovid just before the war, and the appearance of the specialist magazine Zadruga in 1937. But after the war, unlike in Russia and Ukraine, these efforts came to a stop and only reappeared in the 1990s. According to different accounts, Rodzimowiercy, which is Polish for Native Faith Believers, are today either the sixth or seventh biggest religious group in Poland. Since Catholics make up over 87% of the country, the niche numbers here aren’t exactly going to change the status quo – different censuses and statistics estimate that all the official Pagan organisations add up to somewhere between 5000-8000 members. 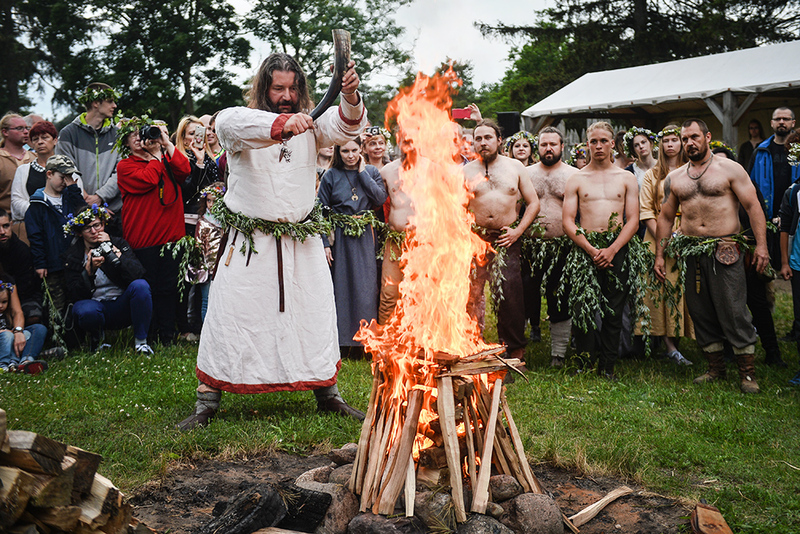 Other than these believers, there are also numerous organisations that try to bring Slavic traditions back and familiarise modern Poles with them, be it by funding and creating museums, or by various historical re-enactments, such as Slavic gords (wooden, fortified settlements) and public displays of traditional rites. 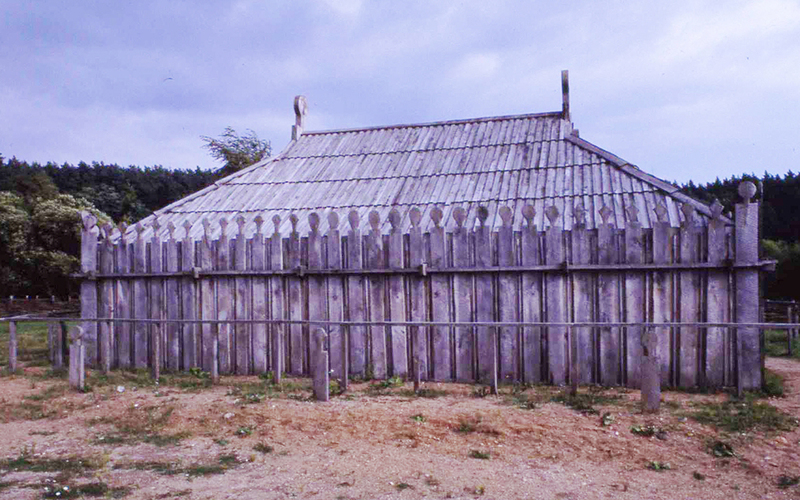 Many modern Slavic faithful are somehow connected to this historical/ethnological background. For them, what started as an academic interest, quickly turned into much more – a belief that they found fitting, or an interest they found intriguing enough to try and incorporate into their lives. Other practitioners treat it as a way of being one with Nature once again in a world where Nature has been almost forgotten. It’s also just an interesting idea – something both extremely old and brand new, something both exotic and organic – and that duality also draws people in. Bringing a religion back from the dead is a difficult task. If something was officially eradicated a millennium ago, you cannot really find any books about its traditions, customs and habits. Fortunately, as the sources get more difficult to access, it seems to galvanise the researchers, historians and ethnographers helping it be reborn to become more insightful and creative in their approach. It’s true that no written accounts about the Slavic Faith are to be found, but many practices, or names of gods and demons, are still handed down from father to son in folk traditions – such as magical practices, songs, superstitions, folk tales – and this oral history is mostly where that knowledge can be found. Today, most of the celebrations that rodzimowiercy take part in are annual festivities concentrated on the changing seasons and natural cycle, such as equinoxes and solstices. The Slavic Faith is a polytheistic system of beliefs, with many deities being impersonations of Natural forces, such as the Sun, fire, stars, vegetation etc. 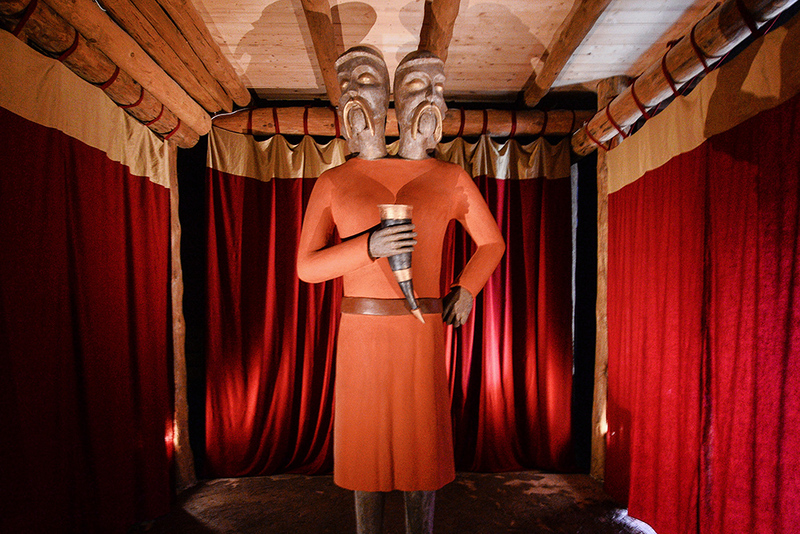 There are two main gods – Perun and Weles, respectively the God of Thunder and the Master of the Underworld. Rituals are often performed out in the open and involve a ritual bonfire. Everyone – even bystanders – is welcome to join and participate in rituals, as there is no formal initiation rite. One of the most interesting developments concerning the Native Slavic Faith is, undoubtedly, a project to build a proper temple, the first Slavic temple in over a thousand years. The Watra Foundation has already been given land next to Wrocław and is collecting donations for the temple. 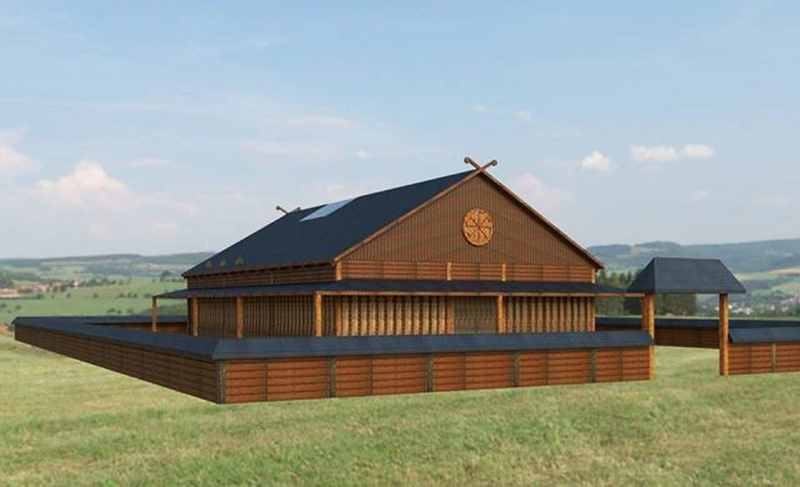 The building will be based on historical Slavic temples uncovered by archaeologists in Gross Raden in Germany, but will be adjusted to modern-day standards and needs. The building, besides being a temple and a place for the Slavic faithful to perform rituals, will also serve as a museum and a cultural centre in order to popularise knowledge about the olden days. Out of many endeavours connected to Polish culture, the restoration of Native Slavic Faith is probably one of the most important. It is restoration of a religion that much of Polish culture has its roots in. But besides being a religious project, it is, probably even more importantly, an exploration of Polish ancestry, and something which can shed new light on many of our traditions and folklore.